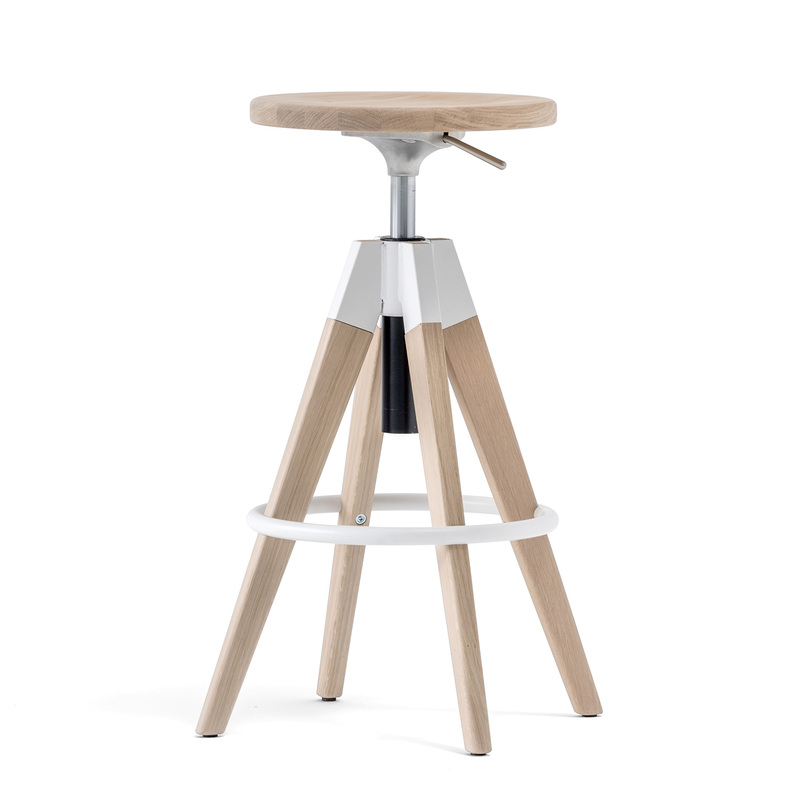 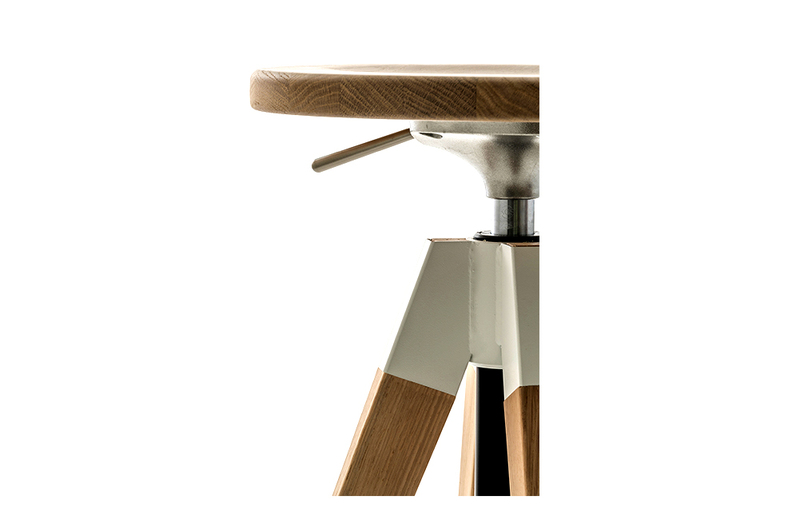 Arki-Stool is the newest addition to the Arki collection. 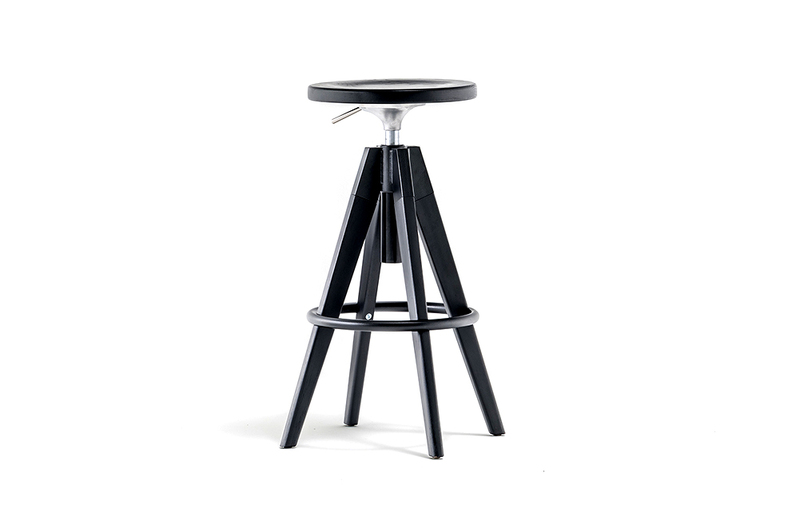 Showcasing the industrial look in a functional way. 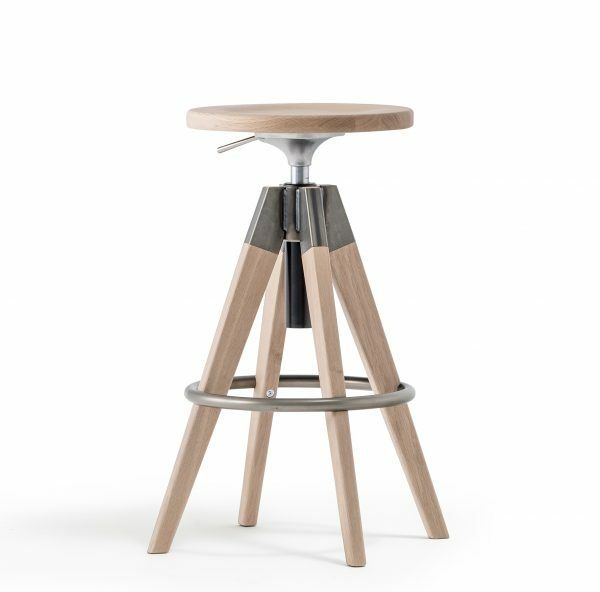 The stunning barstool with bleached or black stained solid oak seat and legs, swivel and with gas lift device to easily changes the height from 650 to 755mm. 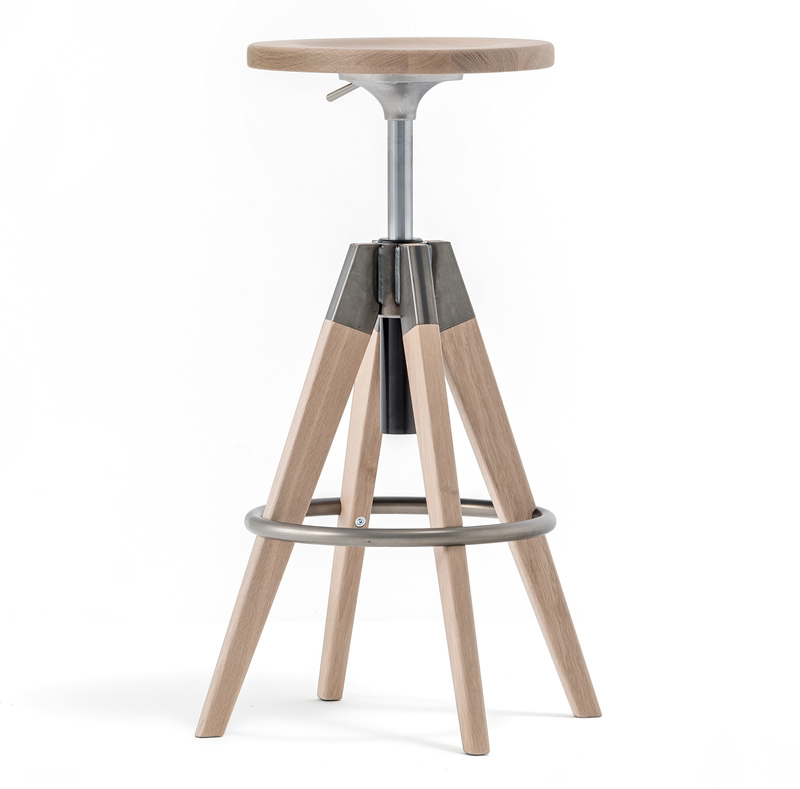 The steel footrest on the legs creates a nice contrast to the naturalness of the wood.